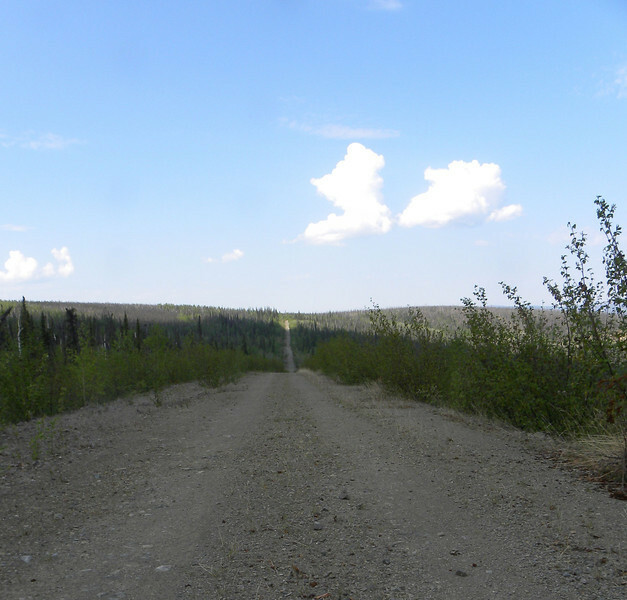 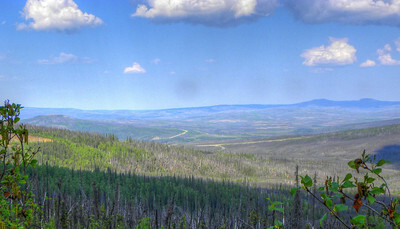 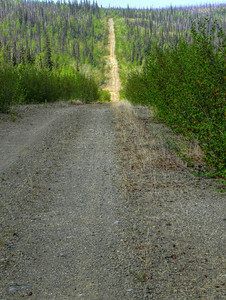 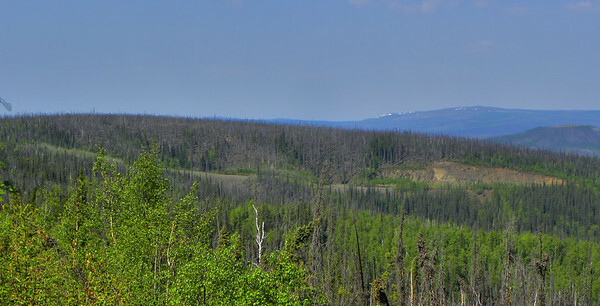 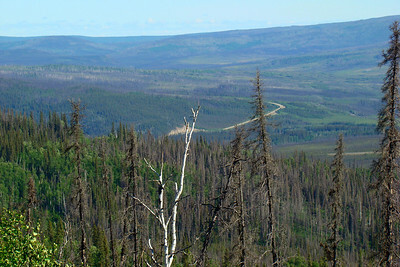 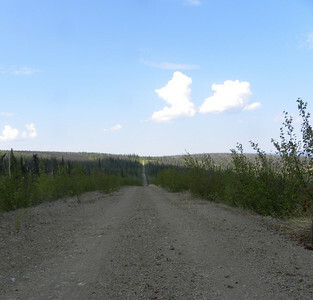 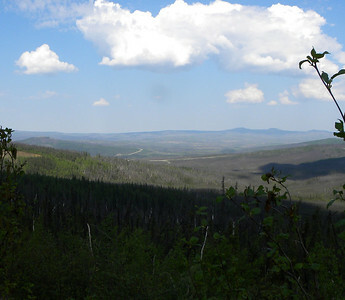 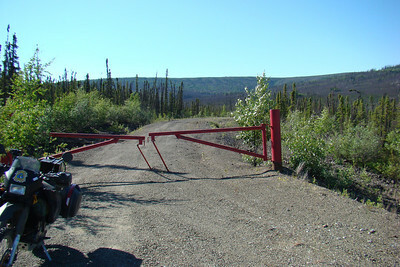 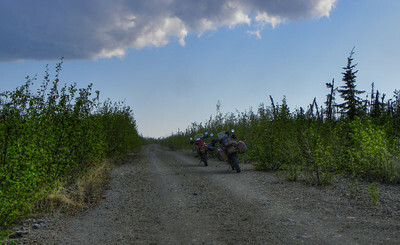 A section of the original Haul Road, by-passed in 2004. 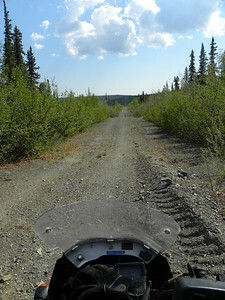 Coming from the south, this is what the approach to the old section looks like. 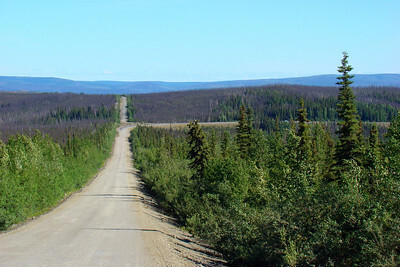 The new highway, paved (and potholed) curves to the right to avoid the steep grades and land contours that made the old section a bit nasty for truck traffic. 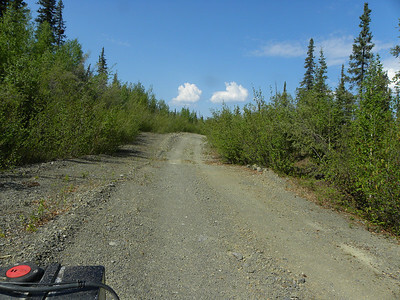 The old section is straight ahead, after a minor jog to exit halfway through the curve.